The Stanley Cup Comes to Winchester! was one of the lucky ones to see the Stanley Cup in person while it was in Winchester for a brief visit. 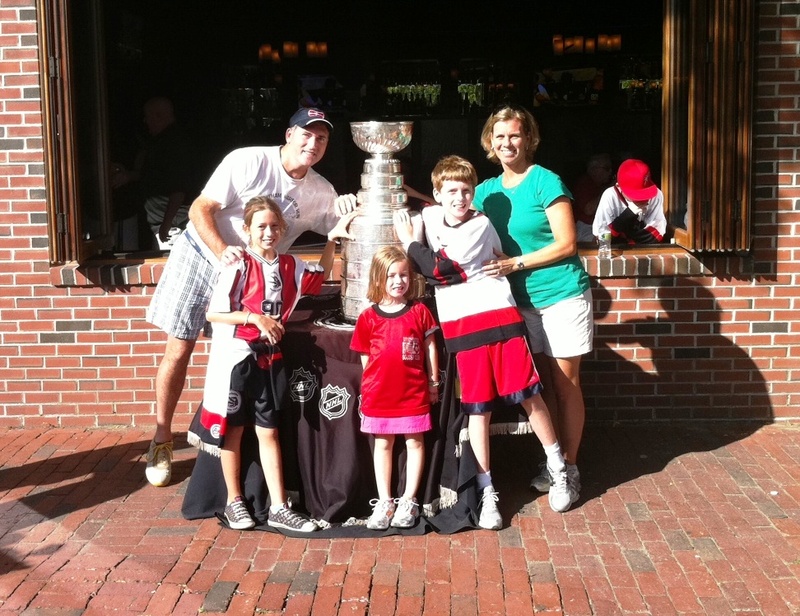 Below is Lulu's blog about the big day: On Saturday September 10th, due to the generosity of a senior member of the Boston Bruins organization, Winchester Youth Hockey children and many excited Winchester residents were given the opportunity to gather and take pictures with the Stanley Cup. As a Winchester resident and parent of two enthusiastic young hockey players (ages 8 & 9), we took full advantage of the beautiful September weather and walked down to Winchester Center.All the kids dressed in their Winchester Hockey jerseys assembled with their respective teams for photos.Cheers of Lets Go Bruins echoed on Thompson Street, it was fantastic!Organizers did a super job giving each team a chance to pose and of course touch The Cup.Once team photos were finished, excited Winchester residents were also given a chance with The Cup.Im not sure who was more exited, the kids or the adults! It was a terrific community event; family, friends, and neighbors gathering in the spirit of camaraderie and sport.I couldn't think of a better way to spend a gorgeous New England Fall day.